A truly unique LadyBird Parent & Toddler Group. 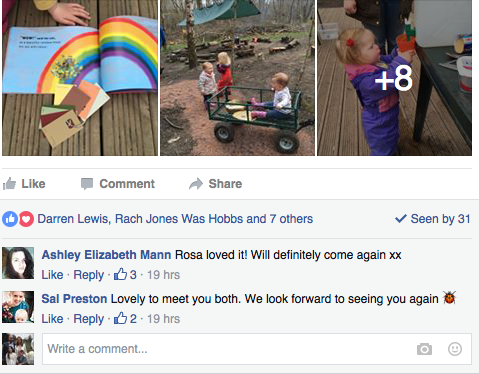 Come and join us in our woodland area set in the beautiful Dare Valley Country Park and experience something different with your little one. 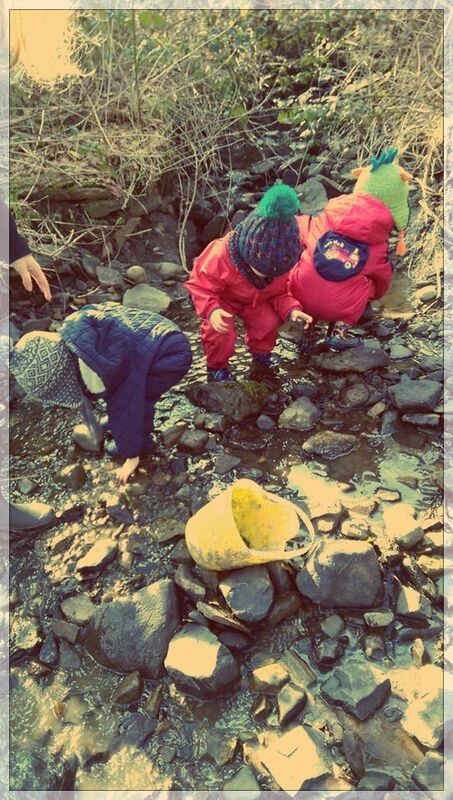 Our nature Parent Toddler Group will harness all the benefits of nature and the outdoors to provide your child with a rich and healthy pre-school experience, designed to develop your child physically, emotionally, and mentally. 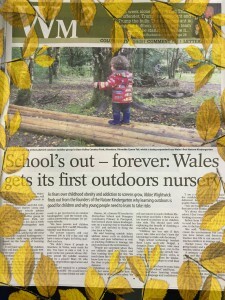 Children are able to explore nature in depth which in turn can have significant impacts on their confidence, communication skills and happiness. 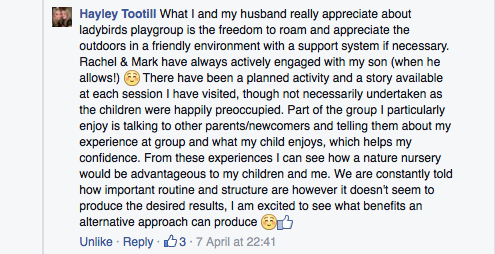 This group is about you as a parent with your child interacting with nature. 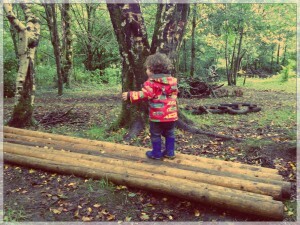 We create structures for play but encourage you to let your child go where their interest takes them. In the afternoons we take our LadyBird sessions further with a short playgroup session in the nature kindergarten without parental supervision. These sessions are for 2.5-5 year olds and provide a safe and exciting environment for children to take their first steps into the nature kindergarten. 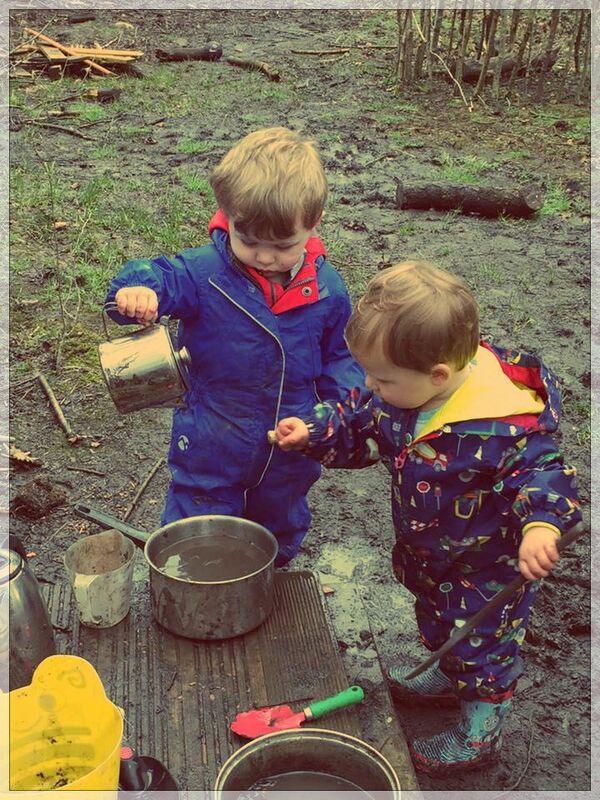 These sessions will use childrens natural curiosity for nature and the environment, and use that spark to further develop all the things we want our children to gain in pre-school: speech and language, physical development, emotional and social wellbeing. Children must have attended at least 1 full term of Ladybirds before attending the Kindergarten sessions. Every Friday morning at 10.00pm meet us in the courtyard at Dare Valley Country Park. find out more about our LadyBird Leaders here. 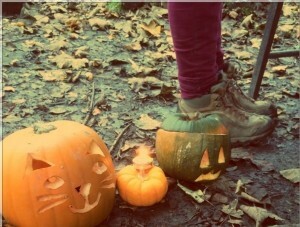 We operate all year-round and through holidays, utilising our 30 ft yurt, 10 ft teepee, and lots of shelters. To ensure appropriate staffing levels and most importantly the right amount of and we really need you to let us know your coming (We aim to have 10 minimum attending each session). Just pre-book your space by contacting us and downloading the Parent Handbook and enrolment forms here. LadyBirds is all about you and your child, young and old; parents and grandparents. 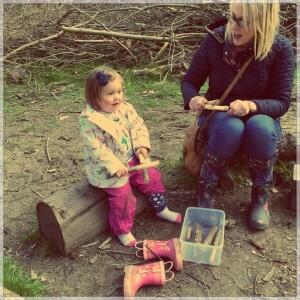 All activities allow you to play with and become involved in your child’s learning and development. 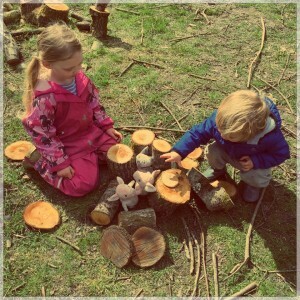 The opportunities for learning and development through play are in abundance at LadyBirds. 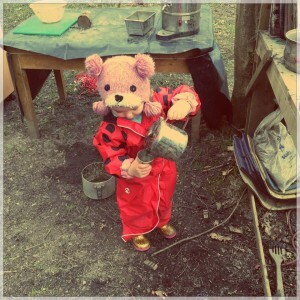 All children love to dress up, make characters, play with sticks & mud and explore new things. We let them do this and encourage the learning within. The opportunities for social interactions are completely unique at LadyBirds as we harness things precious to them and nature. Independence, Confidence and Kindness are all developed and encouraged. Children’s speech and language develops through storytelling. 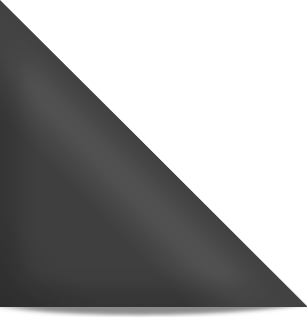 We focus on bringing the stories to life to make them memorable and fun. 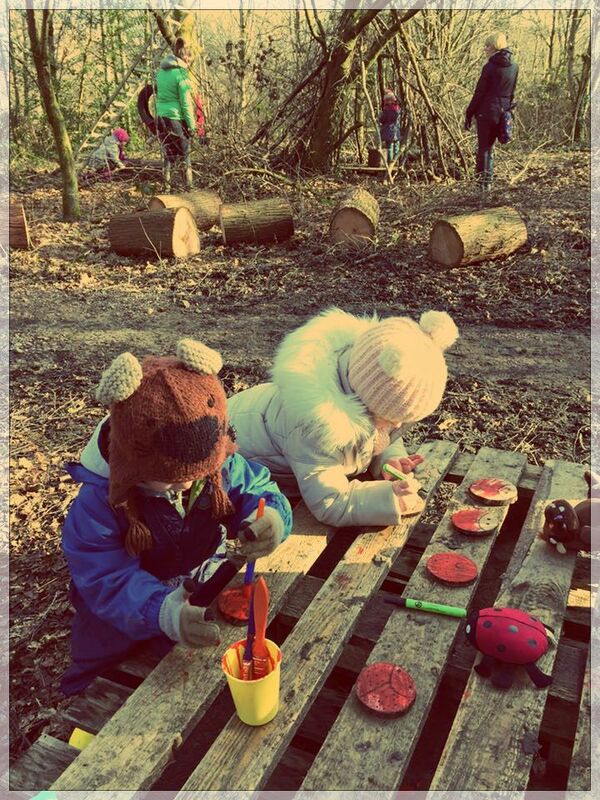 We know this is a vital element of early years development therefore LadyBirds provides a range of unique and developmentally appropriate opportunities for children to grow. 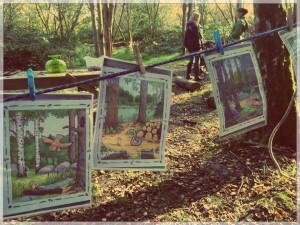 We integrate all the seasons and wonderful themes that exist into our sessions through active participation or storytelling.